1. It will open your mind. It will remind you that there are multiple ways of seeing the world. 2. It will make you less stressed. Acupuncture takes the edge off. By mellowing out the nervous system, acupuncture will help you feel less affected by and better equipped to manage the stressful aspects of life. 3. It will inspire you to get outside more. Things like weather and seasonal shifts factor significantly into acupuncture diagnoses and treatment plans. When you start thinking about health in this way, realizing the intimate relationship that humans have with nature, it inspires a desire to get outside and communicate with your natural habitat. 4. It will give you more energy. Many people report having more energy in the hours, days and even weeks after acupuncture treatment. You may notice that you have more energy in the afternoon at work, are feeling more motivated to hit the gym, or just sensing a little extra spring in your step. 5. It will clear your head. In addition to the surge of physical energy that follows emerging from “acu land”, many people notice improved mental clarity after receiving acupuncture. They feel more motivated and resolute about tackling items that have been lingering for months on their to-do lists. 6. It will allow you to give yourself a break. Acupuncture looks at how root imbalances affect the whole system. This means that when one thing is out of whack, it can affect you in multiple ways. 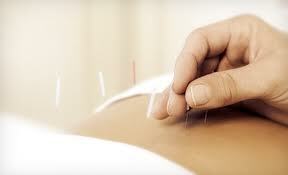 Acupuncture broadens your awareness of the things that can potentially influence your physical and emotional health. Insomnia is one of the most common complaints seen by acupuncturists, and acupuncture can be highly effective at resolving it. But even in people who do not recognize or mention sleep as a problem, acupuncture has a tendency to produce more restful nights. 8. It will get you thinking differently about food. Whether you’re Paleo, vegetarian, gluten-free, dairy-free, or free of any restrictions, acupuncture will lend some interesting perspective to your food choices. In acupuncture, foods often are thought about in terms of temperature. Acupuncture dietary theory sheds light on why some people can eat certain foods and feel unaffected while others can’t even look in their direction. 9. It will help you embrace change. Unwillingness to accept change is a huge source of stress and anxiety for many people. Through reframing change as a marker of progress rather than something to be scared of, you will learn to love it. Acupuncture works in this gray area and teaches us to reflect on the small changes happening within and around us all the time. 10. It will give you something to talk about at parties. People love learning about acupuncture. Did it hurt? Did she stick them in your eyes? People also love sharing their own acupuncture experiences, so it’s a quick way find common ground and make friends. 11. It will help you to be more patient. Technology has accustomed us to quick fixes and perpetuates an “I want it now” mentality resulting in chronic impatience. Acupuncture is an ongoing process that requires an investment of time and a willingness to let go of our desire for instant gratification. It will make you a more patient person. 12. It will make you tough. It takes courage to step outside the box, and approach your health with a new perspective. 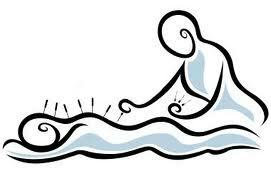 Acupuncture requires a conscious commitment to understanding ourselves in a way that the majority shuns. It is a unique and individualized path toward health and is ultimately the most rewarding. 13. It will make you believe in yourself. 14. It will help you be grateful. Gratitude is a way to return energy for energy received. It increases the flow of emotional well-being being and good health. Any kindness and healing you receive pass it forward with a grateful heart to your friends and family. This entry was posted in Acupuncture, General Information, Wellness and tagged Acupuncture 2014, Berkeley acupuncture, boost immune system, Chinese herbal medicine, Chinese New Year, health news, Healthy Living, optimal health, strenghten immune system on January 27, 2014 by Dr. Rakela. As we move into November, there is a chill in the air, the days are getting shorter, autumn has arrived and with it the potential or upper respiratory illnesses that come with the changing seasons at this time of year. According to Oriental medicine, the season of autumn is associated with the element of Metal, which is associated with the Lungs. The lungs control the circulation of the Wei-Qi, (way chee) which is the defensive Qi that protects you from the invasion of flu and colds. The Wei-Qi circulates on the surface of your body between the skin and the muscles, keeps your body warm and strengthens your immune system. If you keep the Lungs and Wei-chi strong during this time of year you will be much healthier and avoid colds, flu and bronchitis. What you eat also greatly affects the health of your lungs. Avoid cold drinks and instead try warm teas. A great winter drink is a squeeze of lemon with a little ginger and a little raw honey, or organic maple syrup mixed with hot water. Eating excess cold and raw foods creates dampness or phlegm. Sugar and dairy products also create phlegm. Avoid these when you get sick and you will get well faster. Garlic, onions, ginger, horseradish, and mustard are beneficial to the lungs. Garlic is a powerful antibacterial, antiviral and antifungal. Try miso soup with green onions and root vegetables. Dress for the season– Bring out your scarves and sweaters. The Lungs are the upper most organ in the body and are affected by wind and cold. The back of the neck is also vulnerable to cold and wind, so make sure your neck is covered with a scarf or turtleneck sweater. Any kind of drastic temperature change is shocking to the system, even when it takes place over a few days. So bring out your warm clothes to help your body adjust to the change. Early treatments with acupuncture and Chinese herbal medicine can significantly shorten the duration of your illness and keep you healthy. 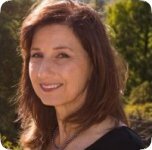 At the first sign of a cold or flu come to Berkeley Acupuncture and Herbal Medicine Clinic of Nancy Rakela for an acupuncture “tune-up” to strengthen your immune system. Dr. Rakela will also determine the suitable herbal formula for you. Some herbs are appropriate to take for prevention, while some are best taken at the onset of symptoms. Call at 510 540-6267 to set up your appointment. This entry was posted in Acupuncture, Cold & Flu, Conditions, Immune System and tagged Berkeley acupuncture, Berkeley acupuncture clinic, boost immune system, Chinese herbal medicine, cold, flu, strenghten immune system, strenghten lungs, upper respiratory illness on November 11, 2011 by Dr. Rakela. Why should you waste your time being ill with a cold or flu? I am always surprised when people come to my Berkeley Acupuncture Clinic and say that they have had a cold for over a month. Unless you have a compromised immune system, you should be able to get rid of your cold in a few days or a week. This entry was posted in Acupuncture, Cold & Flu, Conditions, Immune System and tagged boost immune system, Chinese herbal medicine, virus on October 22, 2010 by Dr. Rakela. This new blog is just in time to celebrate my 25th anniversary of being in practice as an acupuncturist and doctor of Oriental medicine in Berkeley. I look forward to sharing with you health news and insights that will help you attain optimal health. 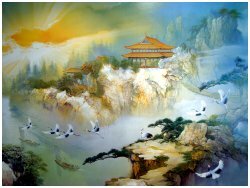 This entry was posted in Acupuncture and tagged Berkeley acupuncture, health news, insights, optimal health, Oriental Medicine on July 21, 2010 by Dr. Rakela.